Here’s the latest image of the new bridge in Whitianga Waterways being constructed. 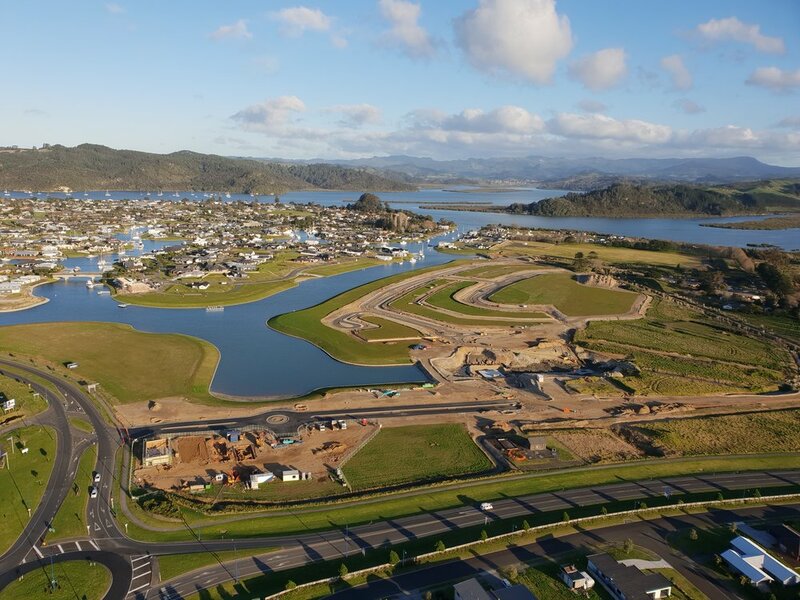 Whitianga Waterways is a hive of activity with a number of new projects underway. 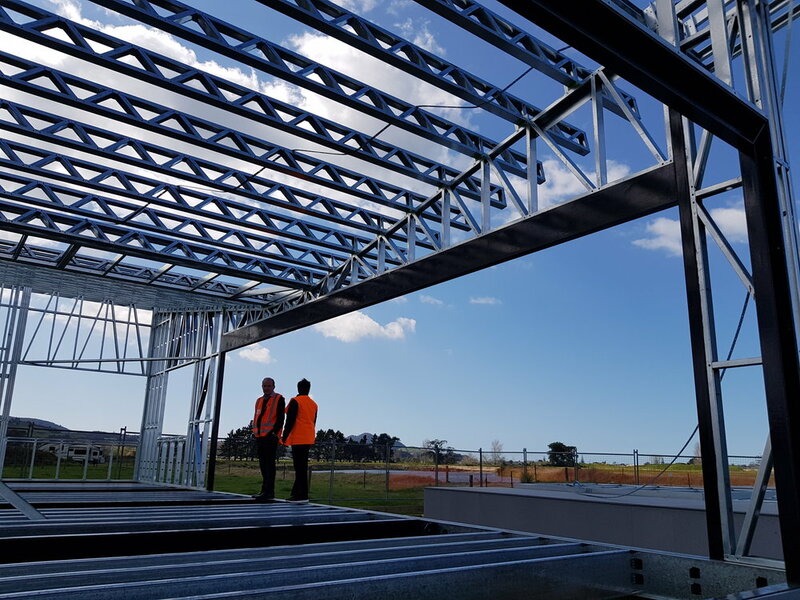 The new Service Station on the corner of Joan Gaskell Drive is being built quickly by a team of experienced builders and is on track for an opening next month. The stage 10 bridge is well under construction and on schedule for completion in November (a time-lapse video will be published here soon). 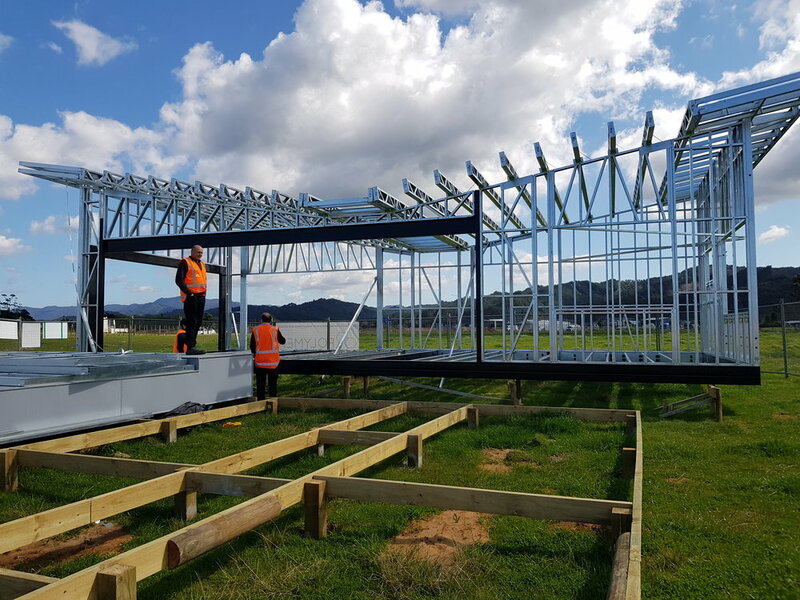 The Marlin Waters floating clubhouse is looking great on its building site near the canal and should be launched to the waterways in November this year. 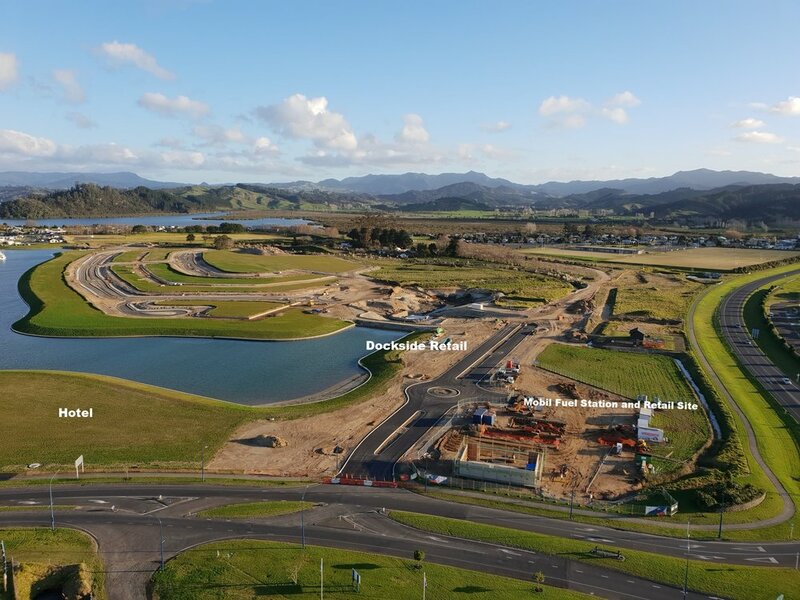 Whitianga Waterways continues to grow...Stage 10 is looking fantastic and the new road off Joan Gaskell Drive is now sealed. We anticipate the stage 10 roads to be completed and open in October this year. The pre-sales for this stage have been positive and we are expected titles in early 2019. Kupe Road extension in Stage 9 is now open and 60% of the stage 9 section have sold. 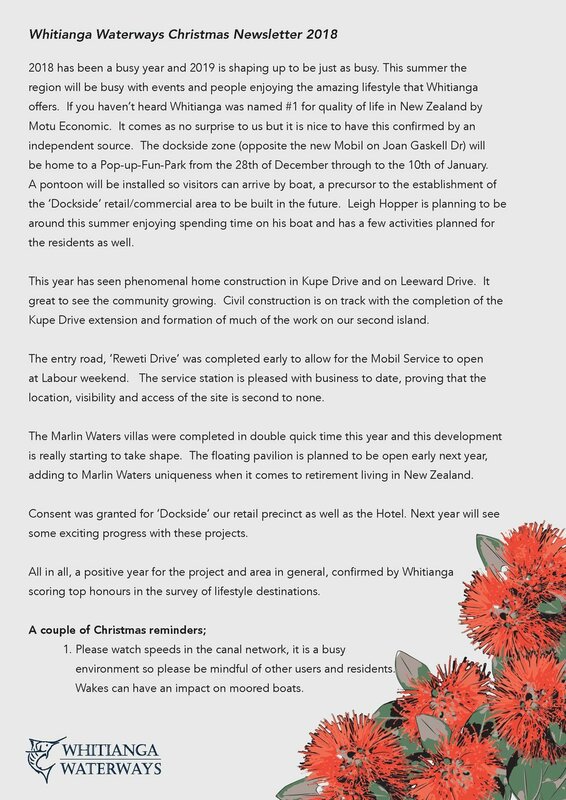 Kupe Road is looking great, with new homes being built each week. The Dockside retail zone sees the building of the fuel station underway with plans to open later this year. You may be aware the imminent threat that this invasive species poses. We must take responsibility to follow the reasonable steps necessary to keep the Coromandel region free from infestation. Mediterranean Fanworm has the potential to be a significant threat to the NZ Biodiversity. The worm has taken hold in several regions around the North Island, and is prolific in Auckland, so vigilance is necessary, especially if you keep (or visit for prolonged periods) your vessel in the infected areas. What can each of us do to prevent the arrival of this pest? We ask property owners to convey these new recommendations to visitors arriving in their vessels, in the aim to avoid any unwanted surprises and the spread of Mediterranean Fanworm. If you should sight the Fanworm or any other unusual looking marine animal, are asked to report it to MPI’s pest and diseases hot-line 0800 809966 or call the council on 0800 800 401. These are reasonable measures to mitigate the spread of fan worm. For further information on Mediterranean Fan Worm please visit the Ministry of Primary Industries Website by clicking here. 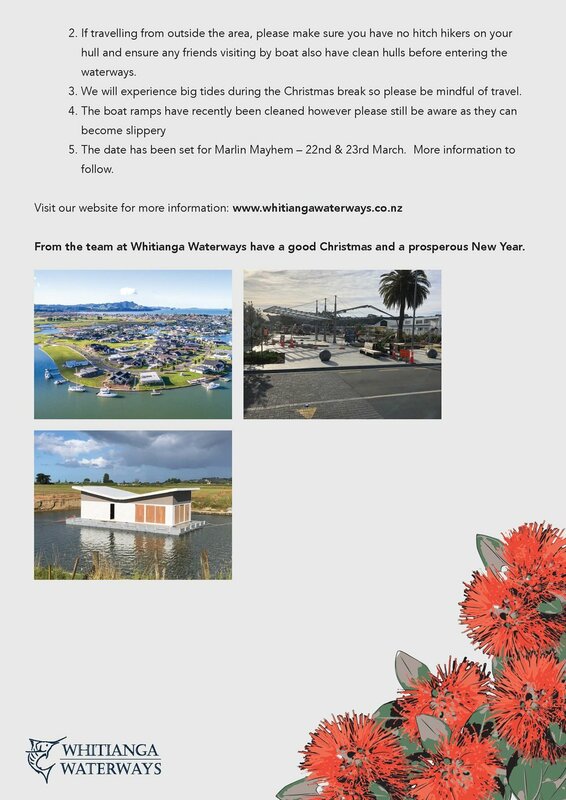 The privacy of your information is important to us and will not be shared with any entity outside of the Hopper Developments limited group, Whitianga Waterways limited.